Logic4training’s OFTEC domestic and non-domestic oil storage tank training course covers the regulations and standards that apply to oil storage tanks, including their supply and installation. The oil storage tank course is best suited to experience installers. Candidates must meet OFTEC entry requirements 1,2 and 3. 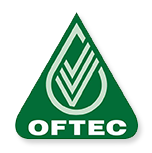 The oil storage tank course is designed for heating engineers requiring OFTEC registration as domestic and/or light commercial oil firing tank installation technicians. OFTEC training manuals can be purchased at the centre. There are four training manuals in total which cost £35 each or £140 for all four.